As well as deploying pre-built VMs from a catalog, you can build your own VMs from scratch, as you would do on a physical machine, using an ISO image in place of a physical CD or DVD. For information about creating a VM from a template, see How to create a VM from a template. In vCloud Director, select the My Cloud tab. Open the vApp in which you want to create the VM. On the Virtual Machines tab, click the Add VM icon. On the Add Virtual Machines page of the New Virtual Machine wizard, click New Virtual Machine. In the New Virtual Machine dialog box, enter a Virtual Machine name and, in the Computer name field, enter a name for the server within the operating system (OS) once built. Leave the Virtual hardware version at the default value, unless you have a particular reason to change it. Select the Operating System Family to use for your VM, then from the Operating System list, select the specific OS that you want to use. With a Windows OS, select at least two vCPUs if you think you'll need two or more in the future, as the multi-processor HAL will be loaded as part of the OS build. You can additionally select the number of Cores per socket. This may be useful if you're deploying software that uses sockets for its licensing model. If you want to run virtualisation servers as a VM, select the Expose hardware-assisted CPU virtualisation check box. For example, you can run a Windows 2008 or 2012 server with Hyper‑V, or a VMware ESX host. Select the amount of Memory (RAM) and the *Hard disk size. Although you can build a VM to your own specification in terms of the number of vCPUs, and amount of memory and disk space, you'll be billed based on the closest (next highest) match to a UKCloud pre-defined VM size. Given the flexibility of VMs, and the ability to change the number of vCPUs and amount of memory and disk space on the fly, it's often better to start small as you're not tied by the constraints of a physical server. Remember too that more vCPUs or RAM won't necessarily make a server faster, and could cost a lot more. You need to understand how well your application can make use of multi-threading. Leave Bus type as the default. Select the Number of NICs (network interface cards) you need in the first instance. When you're finished, click OK then click Next. On the Configure Resources page, select the Storage Policy for the VM and click Next. We recommend using the *-*-*-Any option as this will assume your VMs are balanced evenly across all storage pools. However, you could use this option to specifically separate VMs on different storage if required for high availability purposes. In this example, two VMs could be specifically placed on *.*. *-Storage1 as opposed to *.*.*-Storage2. On the Configure Virtual Machines page, select which Network to connect the VM to. Static - IP Pool is the usual method, which injects an IP address into the VM via VMware Tools from a list of available IP addresses. 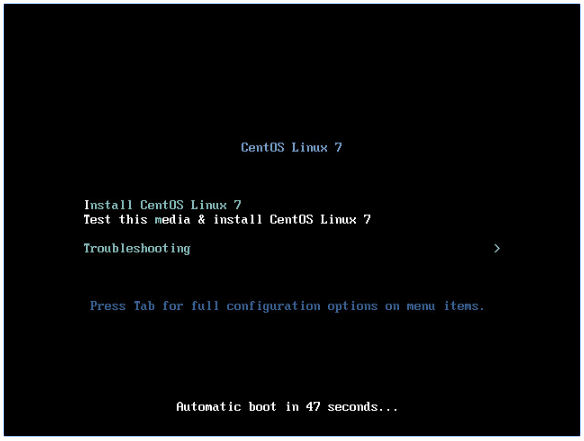 The address may vary with each boot, but there is a checkbox to keep IP address assignments elsewhere within the UI once the VMs are created. Static - Manual is similar to Static - IP Pool, but you need to type in a valid IP address from the pool, which the VM will then keep. DHCP vCloud Director interacts with the OS via VMware Tools to use DHCP rather than static IPs. You'll need to define a DHCP server on your edge gateway. Check with UKCloud or your organisation administrator that this is set up before you use it. On the Configure Networking page you can change how the vApp and its virtual machines connect to the VDC networks. You can find out about network fencing in How to create a vApp network. Review the information on the summary page and then click Finish. The VM will then be deployed as bare metal. On the Home or My Cloud page, right-click the vApp and select Start. This starts the vApp and all the VMs within it. The vApp shows a status of Starting, then Running. Click the monitor icon, or right-click on the VM within the vApp and select Popout Console. The first time you use vCloud Director, you'll be asked to download a Remote Console client, which is a Windows installable file. You'll only need to do this once. The Remote Console client is available only on Windows, under Internet Explorer (compatibility mode) and Firefox. As with a physical server, no virtual CD or DVD is available at first boot, so the server will attempt to PXE boot. Right-click on the VM within the main vCloud Director interface (not the popout console) and select Insert CD/DVD from Catalog. Select the ISO image you want, then click OK. In the popout console, click the Reset icon then click OK to reset the VM so that it picks up the virtual CD/DVD. After a short while the VM will start the boot process and pick up the CD/DVD. Resize the VM window if necessary to see the whole screen. Carry out the operating system install as normal. When you've finished, remember to install VMware Tools. For more information, see VMware Tools Installation. In the vCloud Director Virtual Datacenters dashboard, select the VDC that contains the vApp in which you want to create the VM. In the left navigation panel, select vApps to view a list of vApps within the VDC. In the card for the vApp in which you want to create the VM, click More then select Add VM. To create a new vApp, see How to create a vApp. In the Add VMs to <vApp> page, click Add Virtual Machine. In the Create VM dialog box, from the Type radio buttons, select New. Enter a Name, Computer Name and Description for your VM. Name is a name to identify the VM, Computer Name is the host name of the VM. Select the OS Family to use for your VM, then from the Operating System list, select the specific OS that you want to use. Select a Size for your VM based on the number of vCPUs and cores you require. You can select a predefined size or click Customize to enter specific compute, memory and storage settings. For Windows, select at least two vCPUs if you think you'll need two or more in the future, as the multi-processor HAL will be loaded as part of the OS build. If you want to run virtualisation servers as a VM, you can edit the properties of the VM after it has been deployed to select the Expose hardware-assisted CPU virtualisation check box. DHCP vCloud Director interacts with the OS via VMware Tools to use DHCP rather than static IPs. You'll need to define a DHCP server on your edge gateway. Check with UKCloud or your organisation administrator that this is set up before you use it.11. how many network interface controllers (NICs) you need in the first instance. Click Add to create more NICs. In the Add VMs to <vApp> dialog box, you can create more VMs or click Add when you're done. You can stay in the dialog box to monitor progress or click Cancel to return to the list of vApps. The VM will be deployed as bare metal. On the card for the vApp that contains the VM, click Power then select Power On. In the left navigation panel, select Virtual Machines to view a list of VMs within the VDC. Click the picture of the monitor to launch the VM console. In the main vCloud Director interface (not the console), in the card for the VM you want to work with, click More then select Insert Media. Select the ISO image you want to mount from a catalog, then click Insert. In the card for the VM, click Power then select Reset to reset the VM so that it picks up the virtual CD/DVD. After a short while the VM will start the boot process and pick up the CD/DVD. Resize the VM console if necessary or go to full screen.